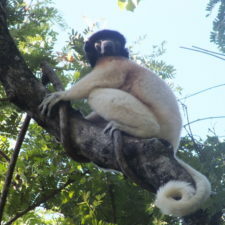 Home › Blog › Learning thru Lemurs: Lemurpalooza and Lemur Limericks! 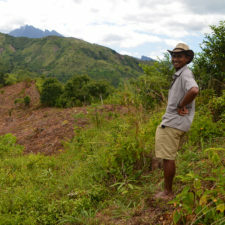 You are here: Home › Learning thru Lemurs: Lemurpalooza and Lemur Limericks! 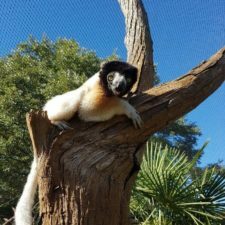 Learning thru Lemurs: Lemurpalooza and Lemur Limericks! 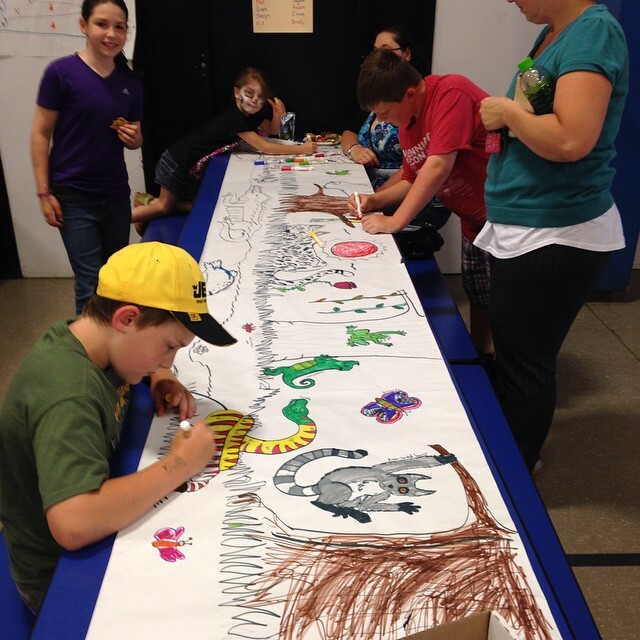 Students work on a mural featuring Madagascar’s unique species at the Ellis School in New Hampshire. 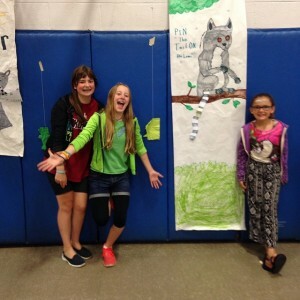 Teacher Robin Lee at the Ellis School in Fremont, New Hampshire, USA just finished a whole year of “Learning thru Lemurs” with her 6th grade language arts students! 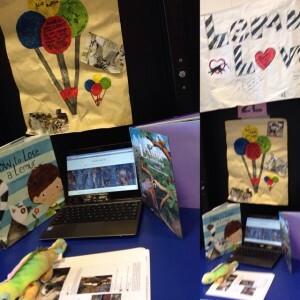 The students were inspired by lemurs and Madagascar all school year, reading and writing about conservation, the rainforest, and all of the amazing animals that call Madagascar home. They visited the zoo, made lemur stuffed animals, and integrated conservation words into their vocabulary lessons. The class finished up the year with their very own Lemurpalooza celebration, timed to coordinate with the celebration of the same name at the Duke Lemur Center. 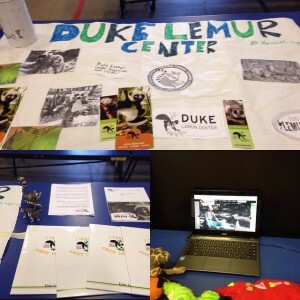 For their Lemurpalooza festival, the students built displays for the Lemur Conservation Network, Lemur Love, and the Duke Lemur Center, so the rest of the school and everyone’s parents could learn about lemurs, Madagascar, and how to help. 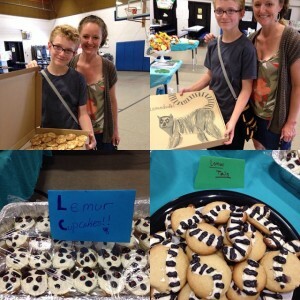 They also drew a lemur mural, made lemur-decorated treats, had lemur face painting, and created lemur games, like Pin the Tail on the Lemur! Throughout the year, the students had a lot of writing assignments involving lemurs and Madagascar, but perhaps the most fun was writing lemur limericks! (Or lemuricks if you’re feeling cheeky.) After studying logging and deforestation in Madagascar, the students wrote these limericks to share their message of conservation. Some are silly, some are serious, and some are quite poignant. There was was a lemur jumping tree to tree. We all want lemurs to be free. Who was looking straight at me! Who liked to eat corn on the cob. Donate Today to save Bob. Help a lemur, you won’t break a femur. Their population is getting leaner. There once was a lemur that was furry. The lemur saw smoke and got blurry. She spotted ashes on the ground. Now she wants to scurry. 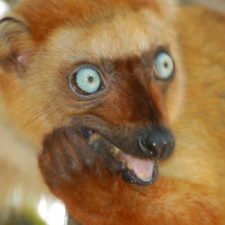 I’m a lemur, don’t be tart. Think about it, if you have a heart. If you do, you have done your part. Great job, class! Have a lemuriffic summer!